3. Are Roth IRA Distributions at 60 Years Old Taxable? If you take money out of your 401(k) before you reach the appropriate retirement age of 59 1/2, you'll have to report the withdrawal as income, and you may be assessed a 10 percent penalty. You'll need to fill out Form 5329 and report the withdrawal, and attach that form to your Form 1040 when you file your taxes. Early 401(k) withdrawal taxes are simply the taxes on the income, plus a penalty of 10 percent of the withdrawn amount if you don't qualify for any of the exceptions to the penalty. To report an early 401(k) withdrawal, complete Form 5329 with your tax return. You'll report the amount of the withdrawal, whether any of the withdrawal was exempt from the penalty, and the amount of additional tax owed because of the early withdrawal. When your employer joins a 401(k) plan, it allows you to contribute money from each paycheck, before taxes, to an interest-bearing investment account to help you save for retirement. Because the money comes out of your check before your taxes do, the contributions reduce your taxable income during your working years, and you don't pay taxes until after you retire and start taking the money back out. When Can You Start Withdrawing From a 401(k)? The age at which you can begin taking money out of your 401(k) without paying a penalty is 59 1/2. There are some exceptions to this rule, however. For example, if you leave your job during the year you turn 55 or after you turn 55, you can take money out without penalty. The only tax you have to pay on these withdrawals is ordinary income tax. If you take out a 401(k) loan, you don't have to pay taxes or penalties, but you do have to repay the loan with interest. If none of these scenarios are the case, and you take money out of your 401(k), you'll likely have to pay an early withdrawal penalty on top of the income tax. There may be other exceptions that apply, however. The 401(k) distribution was made to a beneficiary or your estate after your death. You're totally and permanently disabled. You've left your employer and are receiving a series of "substantially equal periodic payments" over your life expectancy or your beneficiary's life expectancy. Your deductible medical expenses exceed 7.5 percent of your AGI, even if you don't itemize your deductions. The withdrawal was because the IRS levied your account and took the money to pay back taxes. You're an individual called to active duty after September 11, 2001, for at least 180 days. The distribution was a dividend from an employee stock ownership plan. If you roll over money from your 401(k) to another eligible retirement account, you generally don't have to pay taxes on the rollover, and you don't have to pay the 10 percent withdrawal penalty, as long as you move the money within 60 days after you take it out. For example, if you withdraw $10,000 from your 401(k) and move it to your traditional IRA within 60 days, the withdrawal is not taxable and is not subject to the penalty. The rules are different for Roth accounts in that you do have to pay taxes, but not the penalty. 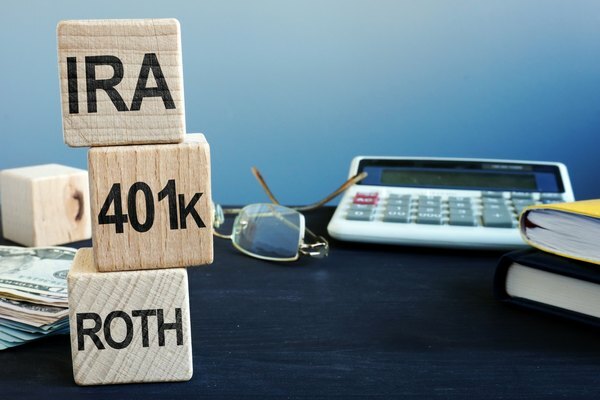 If you withdraw from your 401(k) to roll over to a Roth IRA or a Roth 401(k), you will have to pay taxes on the rollover. Roth accounts are post-tax accounts and are intended for deposit of post-tax funds. While your regular 401(k) account is funded by money taken out of your paycheck before taxes, Roth accounts are funded by contributions made after taxes, so all the funds in a Roth account (aside from earned interest) are not taxable since the taxes have already been paid. If you deposit a withdrawal of pretax funds into a Roth account, you'll have to pay taxes on the withdrawal. However, because it's a rollover, you won't have to pay the early withdrawal penalty. The 401(k) early withdrawal penalty is 10 percent of the amount you withdraw. You must pay that penalty in addition to the income tax, which is also calculated based upon the total amount withdrawn. So if you withdraw $10,000 and you're only 45, and no other penalty exceptions apply, you'll be taxed on the income of $10,000, plus you'll have to pay a 10 percent early withdrawal penalty of $1,000. Withdrawals from a 401(k) are taxed at ordinary income tax rates, plus the 10 percent penalty, if applicable. You can find a 401(k) withdrawal calculator online, or you can figure out your top marginal tax rate and calculate the taxes yourself, plus the 10 percent penalty. You'll be taxed on the total for both. For example, if your income level puts you in the 24 percent tax bracket, and you're 45 years old and take an early 401(k) withdrawal of $10,000, you'll have to pay the 10 percent penalty of $1,000, plus taxes of $2,400 for a total of $3,400. If you take an early 401(k) withdrawal, you'll need to complete Form 5329 and file it along with your tax return for the year in which you took the withdrawal. Part I of the form refers to the additional tax on early distributions ("additional tax" here means the 10 percent penalty). First, you'll report the total withdrawals you made on Line 1. On Line 2, you can report any amounts that aren't subject to the penalty for whatever reason, and you'll have to enter a code reflecting the exception. The amount of the withdrawal, minus any amount that is exempt from the penalty, is the amount subject to additional tax, which goes on Line 3. On Line 4, you calculate 10 percent of the amount subject to additional tax, and that number is your penalty. On the 2017 Form 1040, you had to report the additional tax on early withdrawals on Line 59, with reference to Form 5329. With the changes made to the tax law in the Tax Cuts and Jobs Act, signed into law in December 2017, the IRS will have to change some of its standard forms. Form 1040, which is the individual income tax return, has some large changes for the 2018 tax year that are still in draft form. The draft 2018 Form 1040 is a much shorter form and much simpler, but it does not have a special line for the early withdrawal penalty and simply refers to Schedule 4 on Line 14. As of December 2, 2018, the finalized and official Form 1040 for 2018 has yet to be released. IRS: Do I Need to Report the Transfer or Rollover of an IRA or Retirement Plan on My Tax Return? Can I Take Out My 401(k) When I'm Not Working?